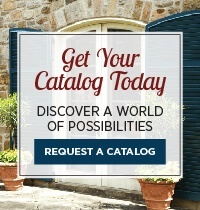 You don’t have to actually be in Tuscany to enjoy the warm, authentic style of an Italian villa. 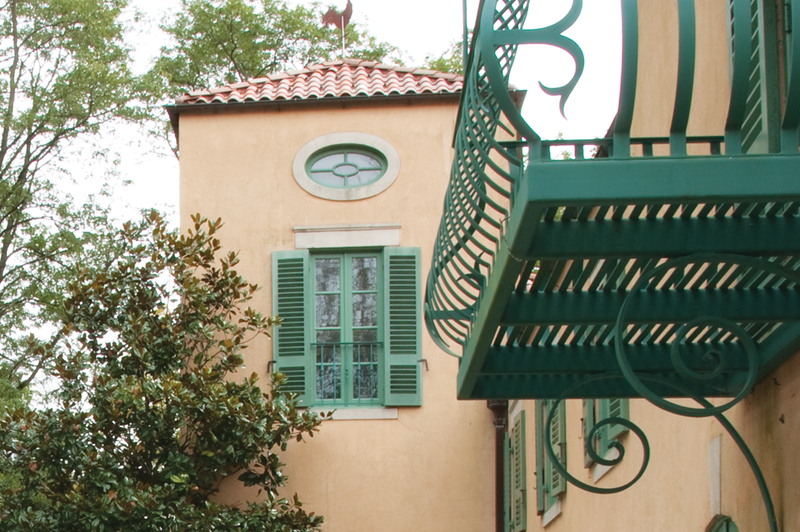 In colors both classic (olive neutrals) and bold (turquoise jewel tones), this gallery of shutters brings out the old-world charm in every home. 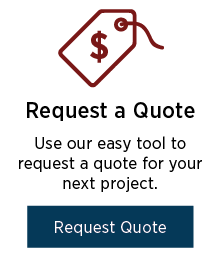 Click through to enlarge each picture and feel really at home in each modern yet classic estate. 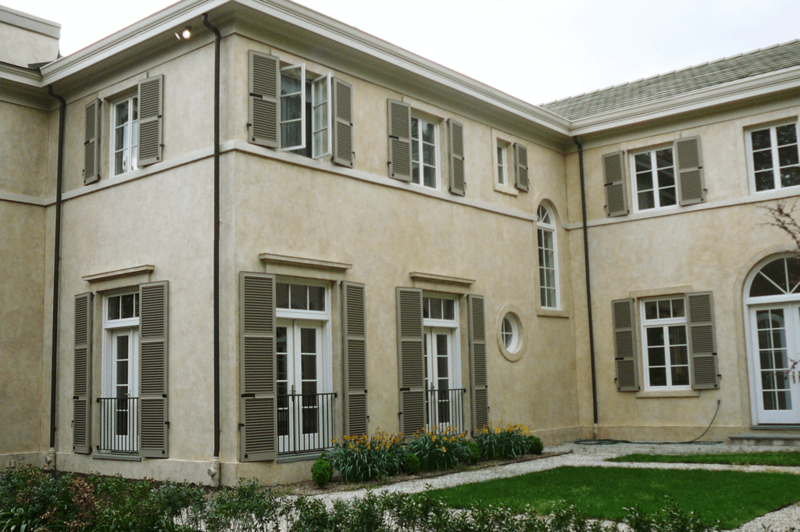 This beautiful off-white stucco home features gray radius top combination shutters that perfectly fit it’s windows and doors. 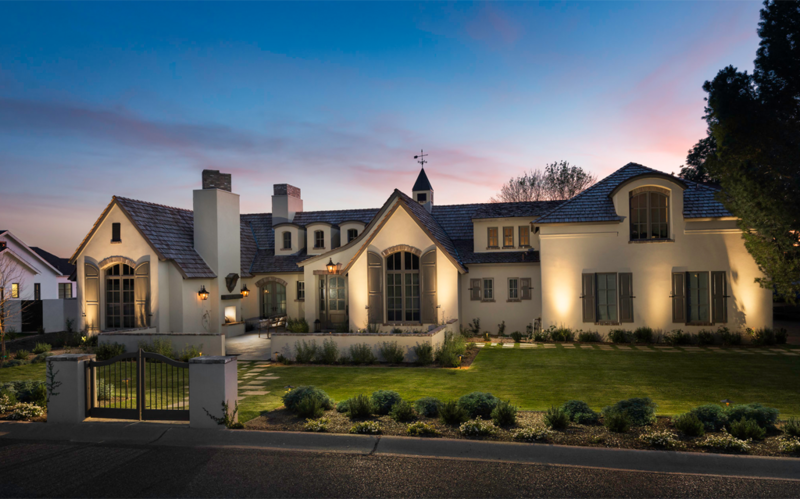 This gray stucco Mediterranean Villa style home showcases gray fixed louver shutters with full sets of hardware to make them both functional and fashionable. 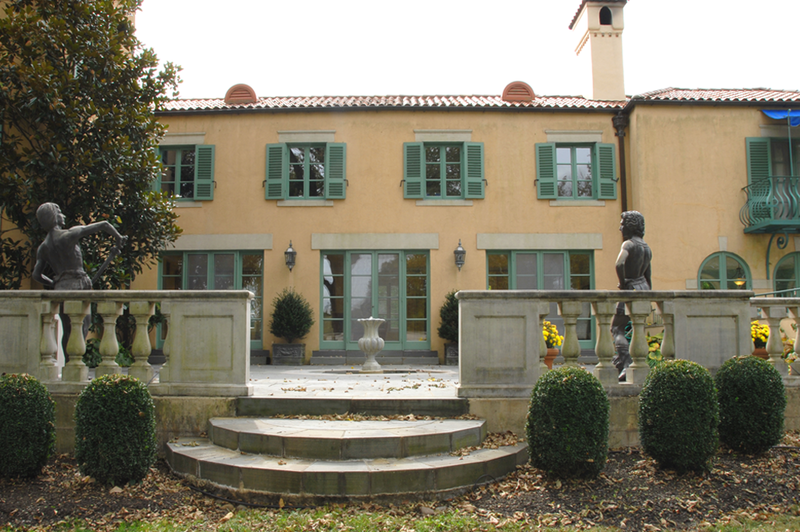 This Mediterranean & Villa style home features gray louver shutters in 30/30/30 configuration on the first floor and 50/50 configuration on the second floor. This white stucco Mediterranean & Villa style home features custom teal shutters with radius tops and diagonal louvers on the first floor and 50/50 split configuration louver shutters on the second floor. 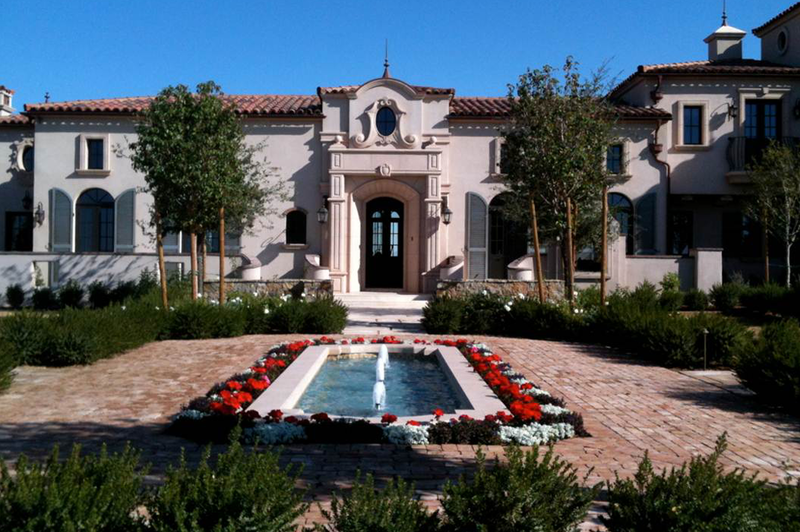 This expansive white stucco Mediterranean & Villa style home, built by PADILLA Signature Builder, Inc., features custom gray 50/50 and 20/40/40 configuration panel shutters. 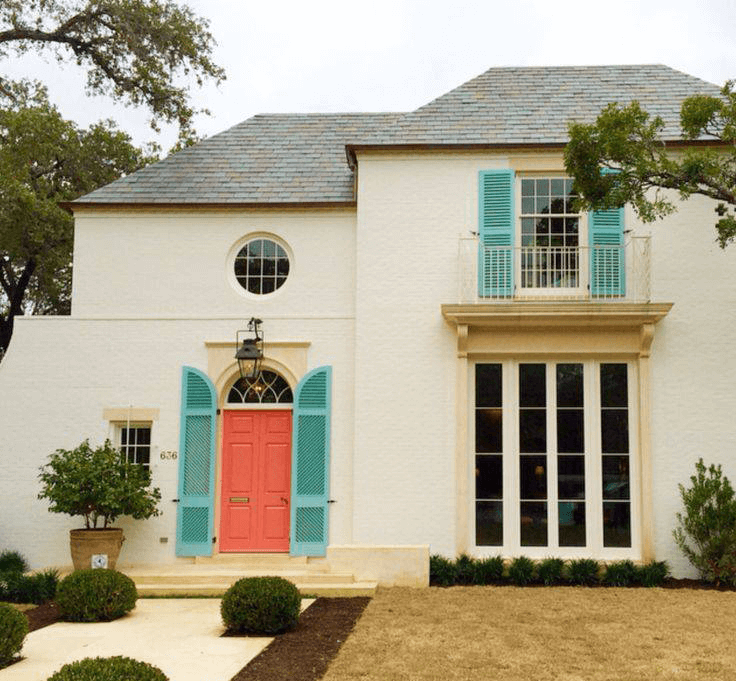 This marvelous villa style home casts a striking presence with its warm, peachy stucco and rich turquoise accents which are matched perfectly with custom Timberlane Shutters. 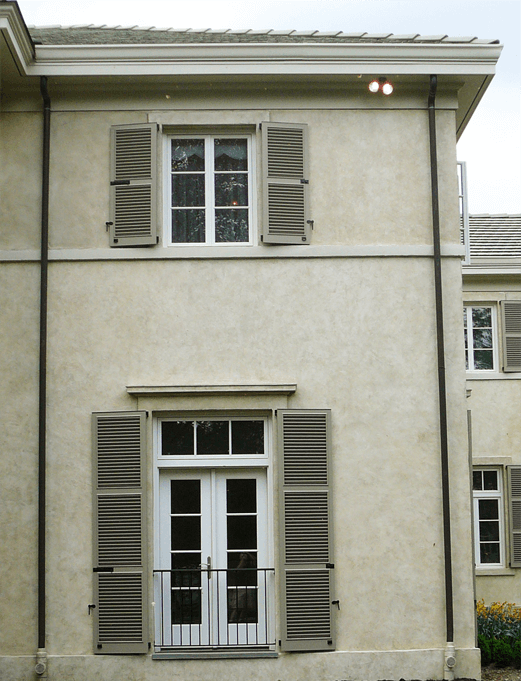 These custom fixed louver shutters are in our TR2 profile with a 80/20 configuration. 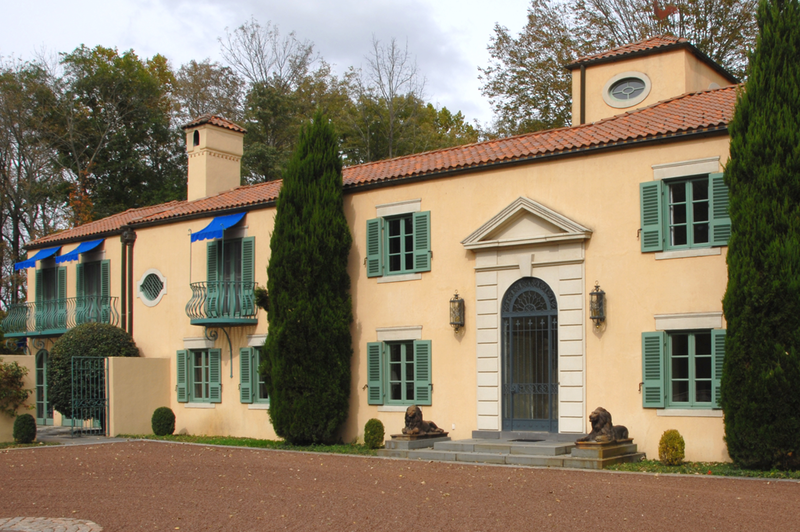 This home’s shutters feature a custom color-matched Premium Paint that coordinates with its existing details and feature custom shutter hardware including wrought iron handles. 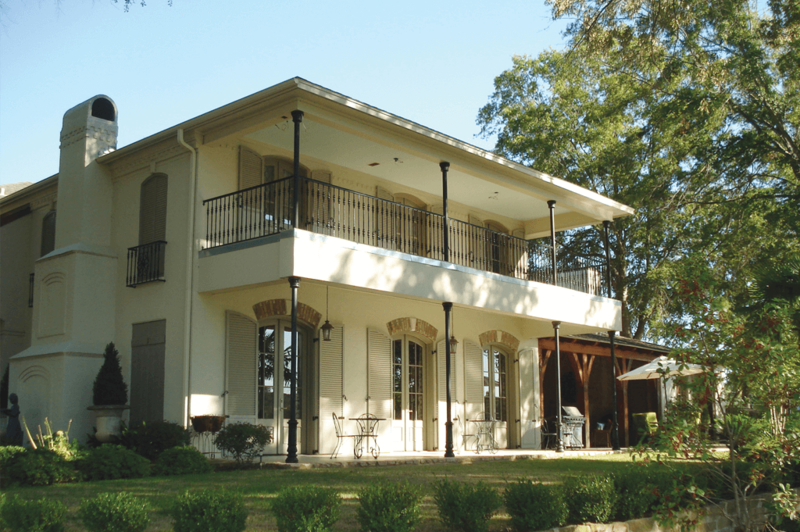 This expansive Mediterranean villa style home features cutsom gray radius-top louver shutters on either side of the arched windows on it’s facade.